Happy New Year! I hope that you had a wonderful Holiday Season with lots of love and healing. The warmth of being with one’s friends and families is about love. Being together, cooking, shopping, eating, playing and having fun is part of what life is about. This particular season is important because it represents the end of the three year cycle since December 21, 2012. We have spent the past three years integrating the higher dimensional energies. This year implies that we can begin reaping some of the rewards from the work of the past three years. For some of us this has been quite challenging, filled with ups and downs. Now that a lot of the clearing work is coming to a close, it leaves room for the phasing in and learning about what life will be like as we move more into the fifth dimension. It portends that we will be having more multi-dimensional experience as we move further into our purpose and destiny, and that we will feel the effects of the increasingly rapid speeding up of time. Imagine what we will be able to manifest in the clear now moment! We are being asked to “Step it up!” As Gordon Asher Davidson, author of “The Transfiguration of the World,” said, “The more that we give the more that can be given to us.” Service to the Light is the name of the game. HOLD THE LIGHT is our work. Meditating on bringing in the Light into our atomic cellular structure will nourish and heal us. The benefits are many. Patti talks about us asking ourselves, “How am I adding to the Light of the world?” I find this an important query as I go about my daily life. Try it too. It will help us self correct if we find ourselves going back into the old 3-D patterns. Those patterns no longer serve us so we need to turn to our inner self correcting system. Saturday, January 23, at 10:00AM, Pacific Time. The meditation is about 45 minutes with participation from the group welcome. The number to call is: 712-770-4010, Access Code 113-815. Love donations are accepted. Monthly Meeting with the Masters, Wednesday, January 6, 7:00-9:00PM, $30. Meditation for Transfiguration of the Planet, Wednesday, January 13, 7:00-9:00PM. Love donation. Mira from the Pleiadian High Council Channeling, Wednesday, January 20, 7:00-9:00PM. $25. Transfiguration Meditation Teleconference Call, Saturday, January 23, 10:00AM-10:45AM. Love Donation. Mother Mary Channeling, Wednesday, January 27, 7:00-9:00-PM, $25. I hold you in my heart and in the Light. Happy New Year! This year portends to be a better year than last. Some are saying it is a year of action, rapid change, truth, perhaps disclosure, congruence, creativity, and Light. Last year was the culmination of the three years of integration since DECEMBER 21, 2012. We had much to integrate from the huge shift as the earth moved through the galactic core and life as we have known it began changing. This is a good link to review about 2015 and the re-shaping of history. http://mayanmajix.com/art_n1030.html 2015 year in review: 29 trends and events that just re-shaped history. This is also a Nine Year which is completion. Nine is also the most powerful number. We also get to kick off this year with Mercury going retrograde on January 5th until January 25th. In this part of the world it’s a time of contemplation and quiet for many of us. We get to reflect on where we have been and outline our dreams for this year and our future. Last year some of us said goodbye to friends and family members who transitioned to the other side. One of my friends who passed in October came to me the night she died and asked me what to do. I told her to “Go to the Light!” Then a couple of days later I was shopping in Target I heard my name called and no one was around. I know it was her. When I tune into her now I feel that she is free and progressing. She passed from colon cancer. Our loved ones are still around us and we have to honor their choices. That is the only way I can reconcile missing them. Yesterday I was in a store and I heard a lady say, “I couldn’t find Christmas.” Some people said they were feeling the same way as they went through the motions of the holidays. This means that we are in a new time line and that life is not as it was. Even people who are not into our spiritual ways of thinking are noticing how time is going quickly. I wonder what it will be like this time next year. I was discussing this with a friend last night. She said she and her family said they couldn’t feel Christmas either. Then we were joking around I was saying that maybe this time next year we will have crystal Christmas trees, the real Masters at our footsteps, and the ability to instantly manifest whatever presents we want under our tree. We might be living in a higher multi-dimensional time line. Wouldn’t that be fun? For many of you who have been reading my messages for 20 years now, you might remember how at that time we thought we were ready for ascension. What kind of time warp were we in? Since then we have had to travel many miles and learn numerous lessons. Humanity certainly was not ready either. Are they ready now? Is the ground crew ready? The best way that we can do our work is to HOLD THE LIGHT! There are opposing forces who want us to be in fear and terror. Don‘t go there! We need to maintain a high vibration so that we can work with all of the Light that is inflowing to us and the earth. Rise above what is in the mass media, or better yet, ignore what they are saying. Transmute the dark energies with St. Germain’s VIOLET FLAME. Patti Cota Robles did a wonderful Winter Solstice Meditation on December 21. She recommends asking, “How am I contributing to the Light of the world?” Ask yourself how can I handle this situation to enhance the world with harmony and love? She talked about the importance for Lightworkers to attain financial freedom and move into prosperity consciousness. These energies require that we become even more conscious of our thoughts, words and actions. When we find that we are out not maintaining our higher vibration we can use the violet flame. We can invoke: Beloved Mighty I AM, take full command of this situation this day and every day almighty I AM, almighty I AM, almighty I AM. We can invoke the Light of God along with the violet flame. Happy spring! Isn’t it fun to watch the flowers bloom and new life popping up everywhere? We are blessed to have four seasons and to have “almost normal” water levels in our snow melt here in northern California. Mother Nature blesses us in many ways. For those of us with allergies it can be a bit challenging as the tissues pile up next to you. Yesterday I had a series of sneezes that sent my cat hiding behind a chair. (My sneeze is not a delicate one.) It was funny. This is always a time for inner growth too. We are coming out from being inner and now as we spring forward we get to see what was percolating in the winter. What is moving through you that is showing up in your life? Can you see where more Light is needed? We can most assuredly let these issues go and transmute them with the Violet Flame of Master St. Germain. This is a big focus right now. The chaos and insanity are in full bloom too. I don’t even want to tell you some of the latest and saddest situations that have happened recently in various places. It is too devastating. It is enough to say that the dark forces are desperately ensnared in continuing their ways. They know their time is nearly up and they are putting up a good fight. More and more truth is rising to the surface. Most of what we have been taught and taken for granted in our lives has been programmed lies. 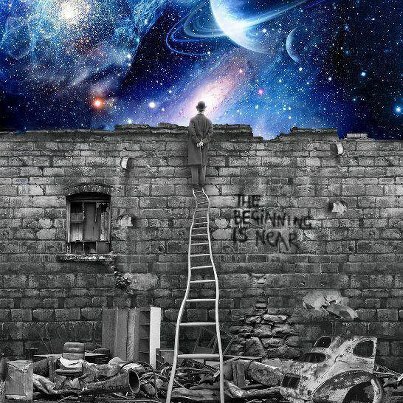 We are truly awakening into a new reality. The old 3d way of living is trailing in the dust. We get to pick ourselves up and shake ourselves free. This allows us to rise into the fourth and fifth dimensions where we are co-creating Heaven on Earth. It feels great! The remedy for the craziness is to stay grounded, centered and balanced. Getting together with other like-minded people is helpful along with prayer and meditation. Rise above the seeming chaos. Be the observer. (Meditation helps.) Work in the garden and stay connected to the earth. Be out in nature. Observe and create beauty. Think good thoughts. Take right action. Pay attention when you are driving. Surround yourself with a force shield of divine protection in the morning before getting out of bed and at night before going to sleep. (Some Lightworkers are getting dark attacks in their dreams.) Focus on gratitude, peace, praise and love. Keep bringing in the Light into every cell in your body (all 50 trillion of them). Pay attention to distractions. This is one way the dark forces can get to us. Let go of fear. How are you doing with these roller coaster rides of energy, heat, sweat, crazy political dramas and everything that is connected with the ascension energies? Clearly, there have been some challenges in the earth school of life as the third dimension continues to implode upon itself. It can be grueling at times, can’t it? In general it seems that we get to deal with the issues that we have not cleared yet. Some are having major health issues and are even at choice points of whether they want stick around or not. These choice points are an opportunity to claim a new truth or to gain wisdom that has yet to be learned. Meanwhile, I pray that you are having a good summer and that the heat is not too over the top for you. The extremes are a part of the ascension energies and the earth is needing to clear in whatever way she can. It behooves us to do our spiritual work and inner work. Meditation and gathering in groups is always important. Even on line classes or meditations are good because they can bring large groups together to focus on powerful energies. Some astrologers are saying that we are in for a “rocky road” in August and September. There is a lunar eclipse on August 18 and two more eclipses after that. Mercury goes retrograde on August 30 until September 21. Many are feeling big changes in the fall. Today one of my clients who works in the corporate world told me that she sees the chaos and the upending of the third dimension every day in her job and on the road as well. She commutes and is exposed to the mass consciousness. We need to stay awake and keep our eyes open. As lightworkers our job is to work with the light within and to hold the light. We can’t control the outer circumstances but we can affect them by our energy. Let’s keep it light and loving as we stay as grounded as possible. Monthly Meeting with the Masters, Wednesday August 3, 7:00-9:00PM, $30. This is an experiential class where we go into three rounds of deep meditation to merge with the master who wants to be with us. It is a wonderful class with sharing, healing, connection and wisdom. Mira from the Pleiadian High Council Channeling, Wednesday, August 17, 7:00-9:00PM, $25. For the last five years Mira has been working full time with the Earth Council. In addition to assisting us with the ascension process (This is one of the specialties of the Pleiadians.) She also answers personal questions. I am also channeling Mira on Tuesday, August 23, from 7:00-9:00PM, $35, at Awakenings in Pleasanton, California. The address is 200 Ray St. Meditation for Transfiguration of the World, Teleconference Class, Saturday August 20, 10:00AM Pacific Time, for 45 minutes. The call in number is: 712-770-4010 with the Access Code of 113-815. All can participate in this meditation to focus on what we want to manifest as changes on our planet. Mother Mary Channeling, August 24, from 7:00-9:00PM, $35. Mother Mary always gives us profound and sweet messages. She is usually accompanied by St. Germain and he provides us with entertainment. Personal questions are answered by Mary. How do you like the all intense energies of the first couple weeks of 2018? The consensus seems to be that some are feeling emotional, depressed, optimistic, and wondering what crazy thing is going to happen next? For instance, today, January 13, there was a mistaken emergency alert sent to people in Hawaii about a missile heading their way. As you can imagine many people were in fear and panic. One of my friends from Cleveland, Ohio just called and told me that in one 24 -hour period last week they had a 60° temperature that went down to 20° with 5 inches of snow. He has lived there all his life without this ever happening before. It is important to remember that the cabal, a.k.a. the dark forces, know that they are on their way out. Their only hope is to continue to instill fear. Do you know that they live off of our fear? Please let go of fear, which is 3-D, and get back into higher dimensions like the fourth and fifth. Simply clear it and let it go. This also applies to finances. Some are challenged with lack and limitation, which is an old 3-D program. We need to complete this and let it go! The truth is that we are unlimited beings who are intended to have an abundance of everything. If this is an issue that you are working on please consciously remind yourself that this is 3-D, that you are in the fourth dimension and higher, and it no longer applies to you. Manifesting is one of our steps in mastery. Raise your consciousness to the fifth dimension and the energies are there from which you can manifest. Manifest from your heart by saying, my heart is open to more abundance, my heart is open to more joy, my heart is open to more freedom, my heart is open to more beauty, etc. In 3-D we have learned our lessons through polarity, like what good parents are not, what good bosses are not, what good teachers are not, what bad relationships are, so this is another area of completion. We have plenty of mirrors in the media of how not to treat people like women, people from other countries, the poor, the elderly, children, and anyone who is different from us. The karma from these behaviors which are no longer acceptable is going to be pronounced. Right now, we get to see these truths being uncovered and then we can watch what ramifications occur. I believe these are going to accelerate as our consciousness accelerates. The prevalence of unpredictability is also creating angst among the masses. The false sense that things are going to be the same as they were is disintegrating like sand beneath our feet. Our job is to remain grounded, and aware, as we continue to see the third-dimension imploding upon itself. Last year was a heart awakening year. There is a certain tenderness in some hearts and even more in the hearts of the lightworkers. There is a longing for the oneness and for the place that we call home. RELATED: Are You Rising Above the Divide and Conquer Strategy?